Le Bistrot du Duché experience ends and begins with owners Paola and Olivier who’ve created the best place in town to eat and enjoy life! They’re warm, welcoming people and setting the standard their staff is cool and friendly. Excellent food! Local expats agree it’s the best meat in town but being vegetarians we can’t vouch ourselves. But the tapas are brilliant, the wines are delightful as is the Bière d’Uzés. Super atmosphere, both outside under the arcades and inside the restaurant. Good, chilled soundtrack and on some evenings live music. 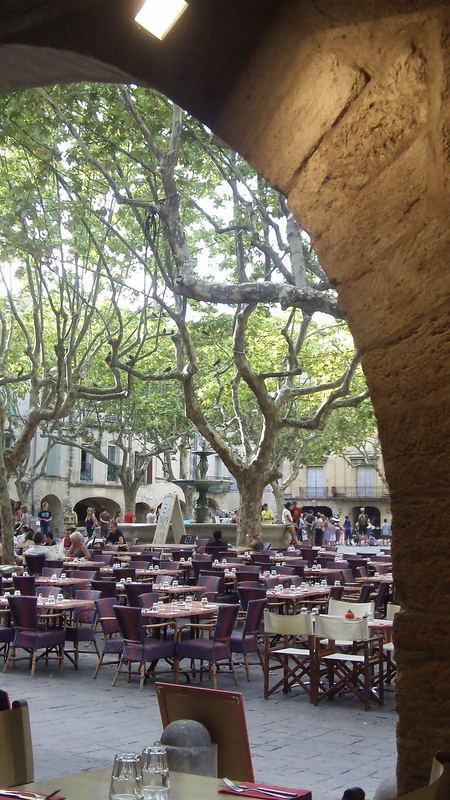 It’s the place to go in Uzès!